Buy 1 - 3 for $70.90 ea. Buy 4+ for $65.90 ea. 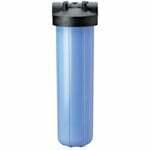 The Pentek RFC20-BB replacement radial flow carbon water filter, used in place of the WRC25HD20, is a radial flow filter that reduces chlorine taste & odor and other bad tastes, including coarse sand, rust, and scale particles in your water. This whole home water filter features a radial design and extra length that provides a higher flow rate for your whole house. 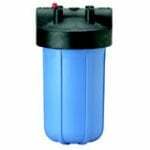 This radial flow carbon filter is also known as WRC25HD20 by American Plumber and as part number 155247. 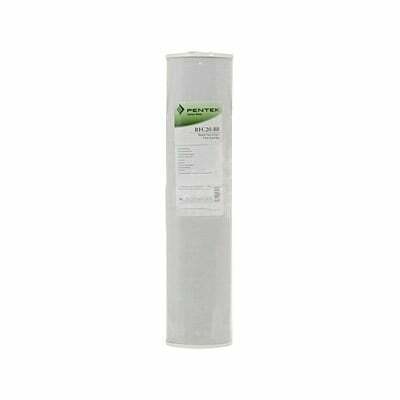 The Hydronix SDP-4520 20" Radial Flow Carbon Filter is a 25 micron whole house carbon filter is ideal for odor reduction and chloramine taste in Point-of-Entry Systems (POE) and other high-flow rate applications. 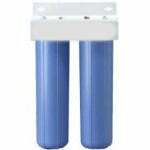 This sediment depth cartridge should not be used with water that is microbiologically unsafe or of unknown quality without adequate disinfection before or after the system. Dimensions: 4 1/2" x 20"
The Hydronix SDP-4520 20" Radial Flow Carbon Filter fits the following compatible housing units: Hydronix HF45-20BLBK34, HF45-20BLBK34PR, HF45-20BLBK10, HF45-20BLBK10PR, HF45-20CLBK10PR, HF45-20BLBK15 and HF45-20BLBK15PR; Pentek 10" and #20 Big Blue, Big White and Big Clear Housings; Pentek 150467, 150233, 150234, 150239, 150240, 150235, 150236, 166227, 166141, 166142, 166144, 150111 and 150194 housings, along with most 20" x 4 1/2" housing units.